Prohibition ended on Dec. 5, 1933. This December, Philadelphia Distilling plans on celebrating the right to drink by hosting a Repeal Day Soirée. The four-hour party at the Fishtown facility will include an open bar, serving Prohibition-era cocktails. There will be live music from jazz band Hot Club Philly and hors d'oeuvres, too. Get into the spirit of the era by dressing up like it's 1933 to dance and drink the night away. The fun starts at 8 p.m. and lasts until midnight. Tickets are $55 per person and are expected to sell out, so if you want to attend, buy early. 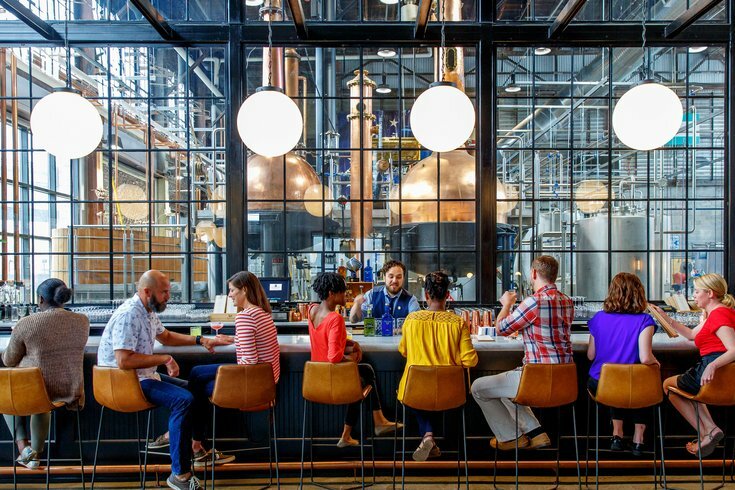 Philadelphia Distilling's sleek bar and cozy cocktail lounge has a view into the distillery itself, where the popular Bluecoat American Dry Gin is made.